Album Interview: ‘Be More Kind’ by Frank Turner. Frank Turner, Photo Credit by Ben Morse. 1. Aos. Hello Frank Turner – Welcome to ‘Architect of Sound’. Firstly Congratulations on your seventh studio album ‘Be More Kind’ which was released early May 2018. It’s a terrific album and seven studio albums is a great achievement in the world of music. 2. Aos. 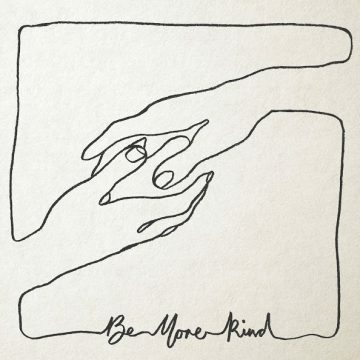 ‘Be More Kind’ is the new album title. Where did the title come from and why did you choose this particular title for now? Frank Turner: The title is, in part, inspired by a poem of Clive James’ called “Leçons des Tenebres”. It’s about facing the end of your life and the lessons one can draw at that moment. He’s always been a great inspiration to me, so to hear someone that wise making that comment was very impactful for me. It seemed to apply to more than just general life lessons; in our fractious political times, it struck me as not a terrible guiding idea. 3. Aos. It is sad to hear Clive James is unwell. He is obviously a big Inspiration. Have you ever met him? Frank Turner: I have not, alas, no. 4. Aos. I feel the new album focuses on many topics like social problems, society, relationships, interaction, mental health issues, world political changes, battle between the concord and discord, well being and personal issues. Can you give us a description on the album Frank? Frank Turner: The album is whatever yon interpret it to be, it’s not up to me to tell you what it’s about! I guess I intended it to be a comment on how we interact with each other in times of political division (among other things). But I think it’s important, the idea that interpretation is paramount in art. 5. Aos. ‘1933′ is the second track on the album, is the song any relation to Nazi Germany? 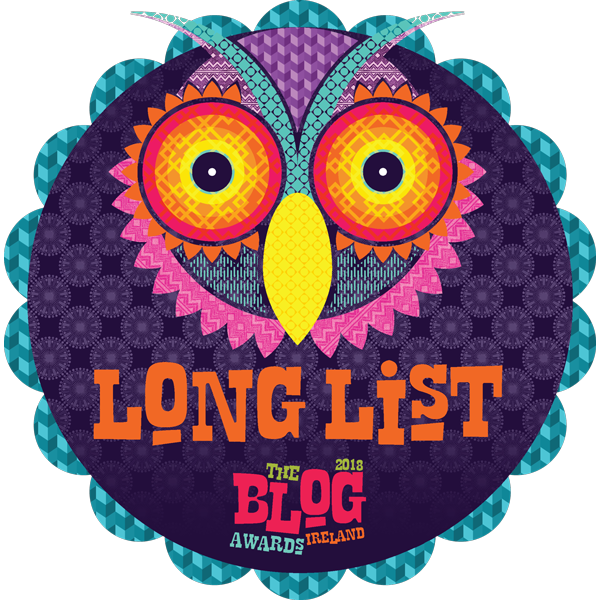 I once read a quote once by Holocaust survivor ‘Primo Levi’ at an exhibition which was harrowing, it said: ‘Monsters exist, but they are too few in number to be truly dangerous. More dangerous are the common men, the functionaries ready to believe and act without questioning’. Frank Turner: It’s a reference, for sure, though it’s not the only metaphor for that piece. 6. 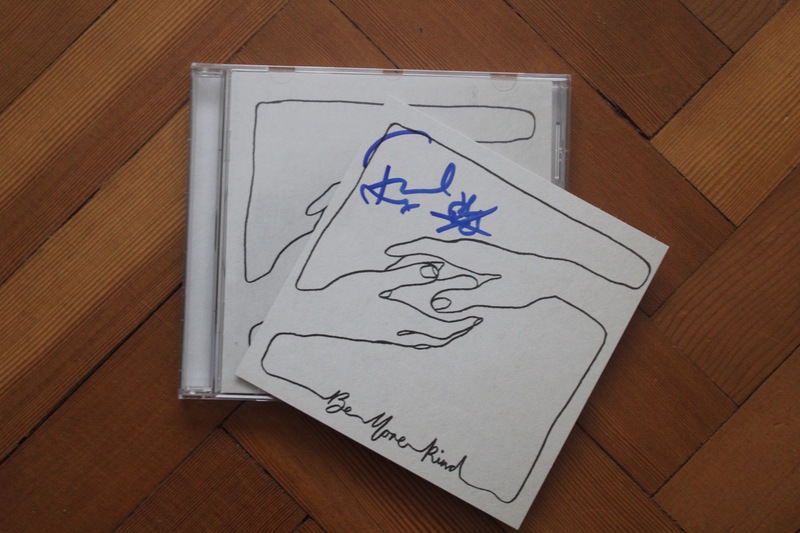 Aos.The artwork & illustrations for ‘Be More Kind’ are simply fantastic! Who is behind the terrific artwork? Frank Turner: An artist called Ben Rix who I came across through my label. He’s great, we really connected and he got exactly what I wanted for the artwork straight away. I have the hands done as a tattoo now myself. 7. Aos. You’ve tried a few new things on this album musically, sonically and production wise. Did you want to venture into new ideas and areas musically and sonically? Sounds great by the way! Frank Turner: Thank you. Yeah I wanted to explore some new (for me) territory. I think it’s important for artists to try and change and be different in general, but this time around it was one of the governing artistic ideals for the project. I wanted to try new sounds, new arrangements, approaches and methodologies. We did that, it went well, as far as I can tell. 8. Aos. ‘I noticed in your lyrics references to the impact technology is having on people. Do you believe these technological devices are having a positive, negative impact on peoples mentality or is it a bit of a grey area? I guess balance is the key. Frank Turner: I think you can’t uninvent anything, so there’s not much point in having normative or moral opinions on technology per se; I think the important thing is to try and bend technogy towards the good, towards the socially useful. Social media can be great, it can be a wonderful, surprising and liberating tool. But it can also bring out the worst in people. So I guess the key is to try and lean in favour of the former. 9. Aos. There are a lot of personal lyrics on the album and you’ve released a few official singles and videos including ‘Little Changes, Make America Great Again, 1993 & Blackout’. 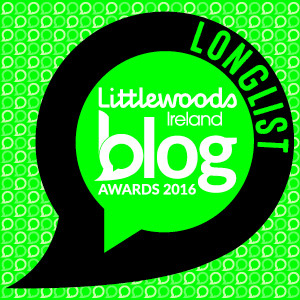 Talk to us about ‘Little Changes’ – song and video. 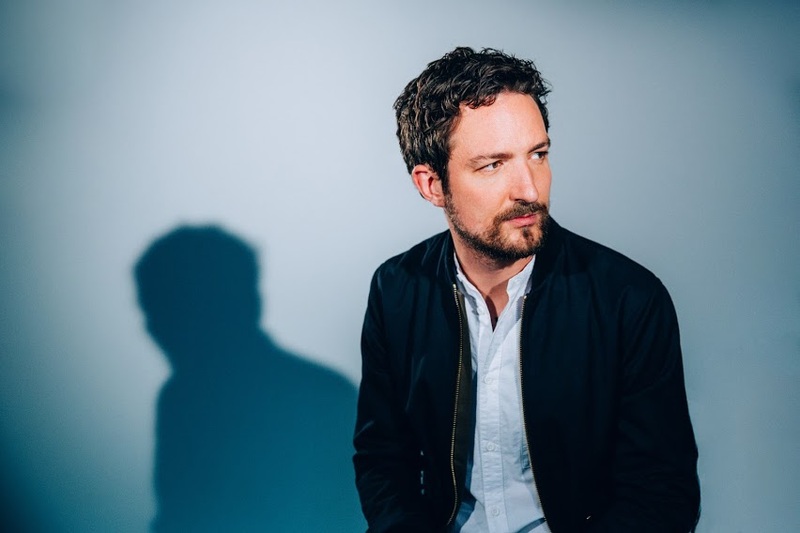 Frank Turner: Lyrically, LC is a song that started being mainly about personal and relationship issues that I’ve dealt with of late, and the things I’ve learned from Cognitive Behavioural Therapy (CBT). As the writing process went on, I could find angles that were more broadly social, though as I said before, I’m happy with whatever interpretation people want to take from the song. The video was really fun, it definitely kept true to the idea of getting out of my comfort zone. I’m a terrible dancer, so working with a choreographer was really something, for him and for me. 10. Aos. ‘Make America Great Again’ is one of the singles from the album as previously mentioned. The track comes at a time when ‘UK’ & ‘USA’ are making big political changes on the world stage. This track has a good human feel too it. What put you in the notion to write this Pop synth / Rock song? You had fun shooting the video in Austin, Texas promoting the states? Frank Turner: The video was fun, yes, I wanted to highlight the spirit in which the song was written. I wanted to write a song for America, it’s arguably my favourite place in the world. It seems to me there are some people around right now who are making hay tragically misinterpreting what exactly is great about the place. So I wanted to get my two cents in. 11. Aos. ‘Frank Turner & the sleeping souls just finished touring the UK and Ireland playing songs from the new record. How many shows have you guys played now and any particular moments that stand-out (on or off the stage) from the recent tour? Frank Turner: I’ve played 2178 shows under my name, as publicly listed. No idea how many of those were with the Souls or not. Picking moments from a tour is kind of redundant, our job is to generate moments for other people. Lost Evenings 2 was fun for sure though. 12. Aos. Finally, what does the future hold for ‘Frank Turner’ & the Sleeping Souls in 2018 & Beyond? Frank Turner: Lots of touring for the forseeable, then more music, I’d hope. Aos. Pleasure, Frank Turner. Good luck with the touring & album. This was an online Interview with musician Frank Turner about his fantastic new album ‘Be More Kind’ featuring thirteen bang-out tracks such as ‘1993, Make America Great Again, Brave Face, There She Is, 21st Century Survival Blues, The Lifeboat among many more. If you get a chance check it out. Frank Turner, ‘Be More Kind’.